Increase your client base with the new Dermalite IPL System. 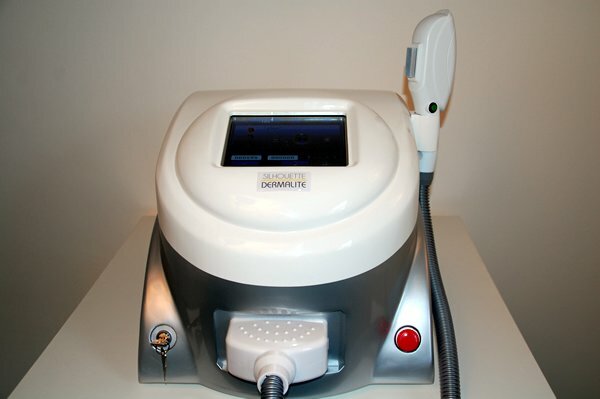 The Dermalites advanced technology will deliver quick and long lasting results, removing unwanted hair, eliminating a number of skin conditions and eradicating redness to ensure instant healing. The multiple treatment system will increase your profits and your client reach. 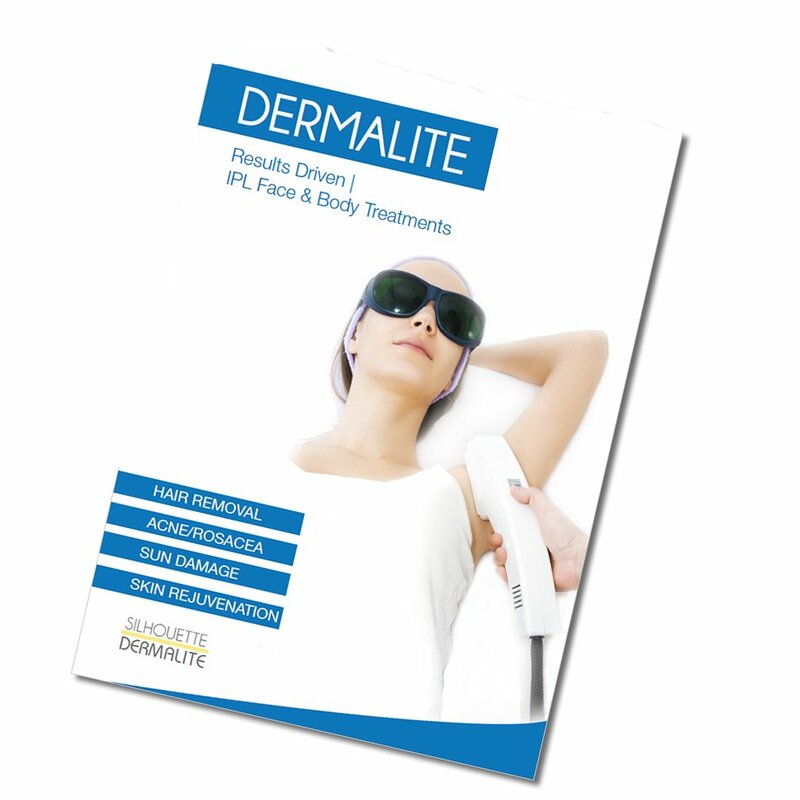 The DERMALITE system utilises IPL (Intense Pulsed Light) advanced technology to ensure long lasting results. It safely removes hair and inhibits regrowth over a period of time resulting in permanent hair reduction. The DERMALITE system will emit short bursts of intense pulsed light to target acne, pigmentation, sun damage, fine lines & wrinkles.The cooling applicator head delivers fast shots of light which decreases any discomfort during or after the treatment. 1. How does IPL work? IPL is Intense Pulsed Light therapy. Simply, it means that an Intense Light is Pulsed into the skin to perform various skin treatments, including hair removal, and photorejuvenation. The method behind IPL is selective photothermolysis. This means that the light (photo) selects a target, heats it up (thermo) and destroys it (lysis). It provides a safe, convenient, and valuable solution for unwanted hair, acne, rosacea, wrinkles, thread veins, etc. Most IPL treatments are suitable for most men and women on the face and body. Different complexions can be treated safely. A consultation or patch test should be carried out by a therapist prior to the treatment. (However, pregnant women and people with photosensitivity should consult their GP prior to the initial consultation.) Also, different treatments may not be suitable for certain individuals, for example… For Rosacea and Acne, dark skinned or tanned individuals can’t be treated and/or if you are currently taking Roaccutane. For Hair Removal, the treatment is not suitable for light blonde, red or grey hairs but suitable for most skin colours, except very dark. 3. Does the IPL treatment hurt? Is it safe? The DERMALITE treatment offers a safe, and quick treatment. The cryo aesthetic effect allows for a mild discomfort. The intensity can be lowered for more sensitive areas. The first treatment is usually the “zingiest.” Each pulse of light feels like a slight sting or pinch and is often described as a “flick of an elastic band”. Most clients describe the treatment as moderate and tolerable and return for more treatments. 4. What are the benefits of IPL Hair Removal treatment? IPL gets to the root of the unwanted hair by targeting the pigment and destroying the hair follicle. It’s a safe way of eliminating unwanted hair and less painful then other techniques on the market. 5. What are the benefits of IPL Acne treatment? IPL is an ideal drug-free treatment for mild and moderate acne with little down-time. A client should notice an improvement immediately after the first treatment. IPL can also improve the appearance of acne scarring. As Acne affects predominantly the face, clients can expect to feel more confident. 6. How long will the results last for the IPL Acne Treatment? 7. What are the benefits of IPL Rosacea treatment? The IPL treatment will improve the appearance of skin, it will reduce redness and thread veins. An improvement can generally be seen from the first treatment. As Rosacea affects predominantly the face, clients can expect to feel more confident. 8. What are the benefits of IPL Skin Rejuvenation? Most clients will notice an improvement from the first treatment. Reduces the appearance of a number of very specific skin problems and conditions such as wrinkles, age spots, thread veins and sun damage. The client will notice a youthful glow to their skin. 9. How long will the results last for the IPL skin rejuvenation? It all depends on how much sun exposure your skin gets following your treatment. If you are exposed to direct sun light frequently and do not use any sun cream, the underlying issues and skin conditions, whether they are redness or brown age spots, will return. However, if you take good care of your skin and keep it protected from the sun, and avoid frequent sun exposure, your skin will continue to look good with yearly maintenance treatments. If you want to maintain collagen growth (which keeps the skin looking fresh and youthful) we recommend a treatment every 6-12 months. 10. Can a client have an IPL treatment while the skin is tanned? It is highly recommended to treat the skin when it is closest to its natural colour. Any sun exposure should be avoided eight weeks prior to the treatments, and fake tanning should be avoided four weeks prior to the treatment. 11. How does it work for customers with PCOS? Many people with PCOS (Polycystic ovary syndrome) find that their hair growth is slowed considerably allowing them to spend less time shaving, waxing or plucking. However, PCOS does drive hair growth with hormones, so the clearance that you expect with Non PCOS suffers can only be achieved if the hormones are controlled. Following a treatment for skin pigmentation and sun damage, you may notice that the pigmented areas darken which is normal for a few days. Some slight peeling or crusting may occur and, in some cases, a small blister or bruise. It is normal to experience slight swelling and redness after the treatment, but this typically only last a few hours for most people, possibly longer for others. Some people can experience a slight sunburnt type sensation for a few days after the IPL treatment. For Hair Removal, you may experience some redness after the treatment and some hairs will fall out immediately. Over the next 1-3 week period further hairs will shed. 13. How often could a client have an IPL treatment? We recommend leaving it 4 to 6 weeks between treatments depending on the skin type. 14. How long does an IPL Hair Removal Treatment usually take? 13. What will the skin look like after the IPL treatment, and what is the healing time? For veins, generally, the skin looks slightly redder after the treatment for 2 to 5 days. To avoid infection, makeup should not be applied for the first 24 hours after a treatment. Makeup can be applied after the first 24 hours after the treatment, as long as it is applied and removed very gently. For freckles and age spots, the spots generally look darker for 3-7 days. Crusting can occur, which is normal, and this may last up to 10 days. The lesions will then begin to clear and will generally be resolving at one month. It is important to note; it takes an average of 3-5 treatments to clear age spots.